A very attractive Rectangular TV Cabinet made from solid pine. It has space for your DVD and Sky/Freeview box as well as a large cupboard to store all those items you do not wish to display. The handles and hinges are constructed to a higher than normal standard to ensure our quality throughout. It is sturdy enough to take virtually any TV on the market. All of the Clarendon range is finished in a mahogany satin stain and every piece of it looks fantastic. 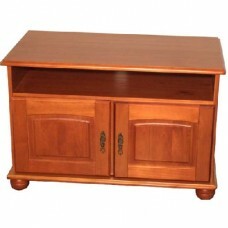 The TV Cabinet is manufactured by our associated factory in South America. 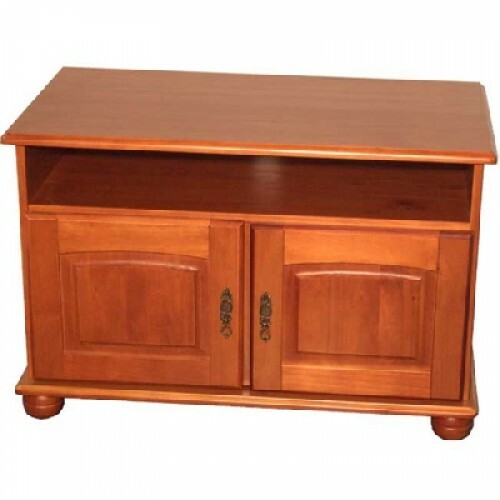 The TV Cabinet shown is representative of the actual item, as it is a natural product there may be variations in the shade or the cut of wood.